Brigadier General Yung has held many key positions where he has gained an extensive range of experience in: enforcing riot control and counter-terrorism measures, dealing with all forms of public disorder and terrorism, was a sniper shooter and instructor, Served in the" YAMAM" Israeli National Police Counter-Terrorism Unit, has written and developed Counter-Terrorism combat doctrines, has trained thousands of Combat Border Guard soldiers, took part in hundreds of operations undertaken as a combat fighter, part of the Command or as a Commander. He established the YASAM Border Police undercover unit. In 1993, Dubi Yung was promoted to Colonel and appointed Commander of the Border Guard Combat Training Base where he was responsible for the training and instruction of thousands of combat Border Guard soldiers and commissioned officers. In 1996, having attended the Senior CRT course in Louisiana (USA), he was appointed Commander of the Border Guard Hebron Brigade until 1999. In very complex, unique and sensitive situations he made special efforts to differentiate between the innocent Israelis and Palestinians living in the territory under his command and those engaged in terrorist and criminal activities. Subsequently, Yung attended and successfully completed the five-month Israeli Police Senior Command and Management Course. In 1999, Colonel Yung transferred from the Border Guard to the Israel Police serving as Chief Operations Officer in the Tel Aviv Police District until 2000. There, he had overall responsibility for all police operations in that district, both terror and criminal-related and direct command of nearly 900 police officers. In 2000, Colonel Yung was promoted to the rank of Brigadier General and appointed Chief Training Officer Education and of the Police Headquarters in Jerusalem. Brigadier General Yung was responsible for the guidance and Training subjects of the (Israel National Police), and held responsibility for all the Police Academy's Professional instructors, as well as for the approval of guidance Organizational doctrines. In this capacity, Brigadier General Yung developed the "Lessons Learned Doctrine", and was responsible for organizing the Special Operation Task Forces for riot control and special events. In 2001, Brigadier General Yung established The Special Forces Division, of which he was subsequently appointed commander until his recent retirement. As the commander of the Special Forces Division, Brigadier General Dubi Yung was responsible for establishing professional guidelines for 23 special units, numbering over 1,400 officers, to be used in routine daily activities and during crisis situations, and for debriefing sessions after every terrorist attack and special operation. He established the joint special operation task forces with more than 3,700 police officers, for dealing with riot control, disasters and special events. Brigadier General Yung is well known as a team player and has earned the enormous respect and genuine admiration of those with whom he comes into contact. Commanding his special units, General Yung was at the site of every terrorist attack in Israel until June 2006. During his service, he was the chief advisor for counter-terrorism to the Israel Police Commissioner and Minister of Public Security. He has been asked to assist other Israeli and foreign security agencies in making threat and situation assessments, as well as providing counsel on forming Special Forces and counter-terrorism infrastructure and dealing with hostage and kidnapping situations. Brigadier General Yung has shared these fields of his expertise with the Israeli Security Agencies, Police Departments and other police forces in the United States, Canada and Africa. 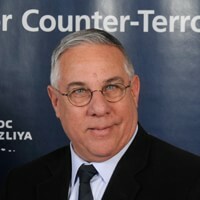 He was asked on numerous occasions to give lectures on the Israel Police experience relating to Counter-Terrorism in international conferences the world over and to foreign visitors to Israel, including the professors and students who attended the Foundation for Defense of Democracy meeting in Tel Aviv over the last several years. Since 2007 Brigadier General Dubi Yung became involved in international work on the theme of borders security: Member of NATO Border Security ARW (Advanced Research Workshop). The program deals with the theme ‘intelligent borders’ and is looking at modern concepts of border security and the countering of international WMD terrorism. Member of NATO Advanced Training Course, Member of the DTRA (U.S. Department of Defense, Threat Reduction Agency). The mission of the United States Department of Defense (DoD) International Counter proliferation (ICP) Program is to counter the threat of the proliferation of weapons of mass destruction (WMD) related materials and technologies across the borders and through the independent states of the former Soviet Union, the Baltic region and Eastern Europe. To achieve this mission, the ICP Program provides a range of law enforcement and border security training and equipment to participating countries. He has received countless letters of recognition and appreciation from Police Chiefs, Commissioners, Ministers, Senior Army Officers, conference coordinators and participants in recognition of his considerable achievements. His career has included rich and varied counter-terrorism experience, encompassing initiative, creativity and flexibility; no one is more qualified to fulfill a senior counter-terrorism and homeland security position in any organization. Graduate of the Senior Crisis Response Team course in Louisiana, U.S.
Graduate of the Management and Command course for Senior Police officers in Israel. He is Accredited Director for public companies. He Held a Master in Coaching for EMCI & MCI. This commentary discusses the contriversial issues of efficacy of counterrorism policy vs. the need to uphold liberal democratic rights and values in democracies. With the increasing trends of radicalization and terrorist attacks perpetrated from within Muslim communities in the West, there is a present need for more assertive and creative political methods of dealing with this phenomenon. In his lecture, Brig. Gen. Dubi Yung discusses the importance of border security in the age of globalization, and examines both the overall security aspects of globalization and the issue of border safety in particular.